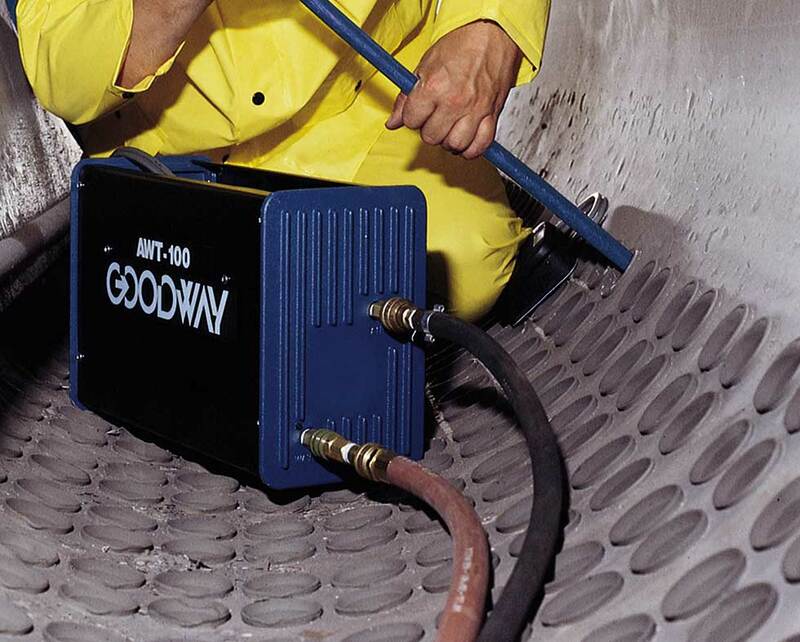 The compact and powerful AWT-100 Air Powered Tube Cleaner is ideal for water tube boiler cleaning and other types of tube cleaning applications, where the use of electricity is not available nor desired. It features a variety of torque and speed controls to match the type of deposit when cleaning virtually any tube/pipe diameter and length. Flexible shafts and accessories are available for both, wet or dry applications. The AWT-100 uses a cleaning tool mounted to the tip of a flexible shaft. For wet applications, the unit feeds water through the casing to the cleaning tool, flushing out deposits as they are loosened. It also doubles as a dry tube cleaner. For dry applications, the GTC-DPA Dry Pickup Attachment and a simultaneous vacuum are used to remove loosened deposits. AWT-100 Air Powered Tube Cleaner (water tube boilers, heat exchanger tubes), adjustable speed/torque control, tachometer, quick disconnect air and water fittings and foot switch. Note: Shaft, brushes and other accessories sold separately. 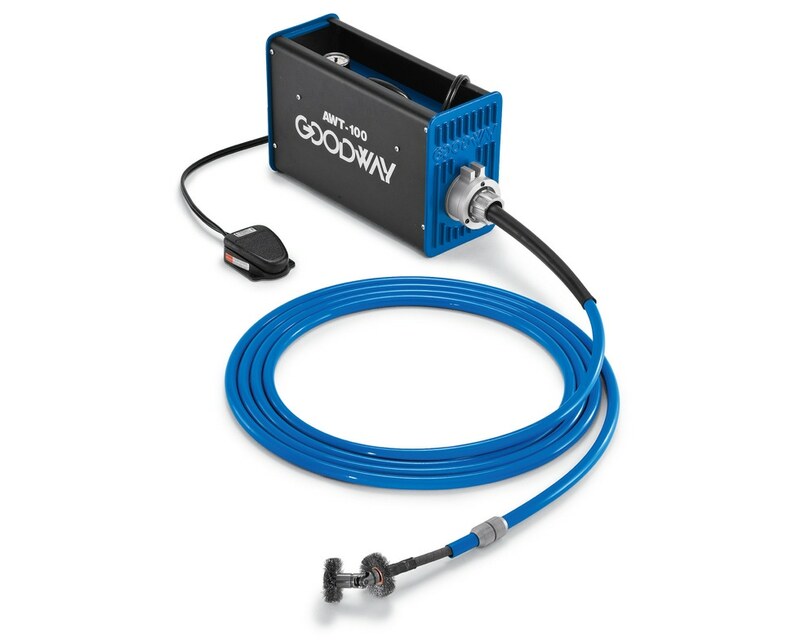 Industrial strength Air Supply Hoses from Goodway provide high CFM (m3/min) airflow to pneumatic machinery for maximum power. For AWT-100 and GSL-705.